JP 2007-08-07 600 points ? 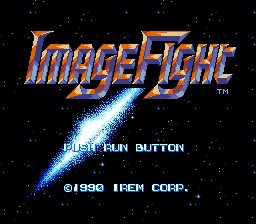 Image Fight (イメージファイト) is a vertical-scrolling arcade shoot-'em-up released by Irem. Main article: Image Fight/Magazine articles. Sega Retro has more information related to ImageFight & XMultiply: Arcade Gears. This page was last modified on 23 December 2018, at 06:46.